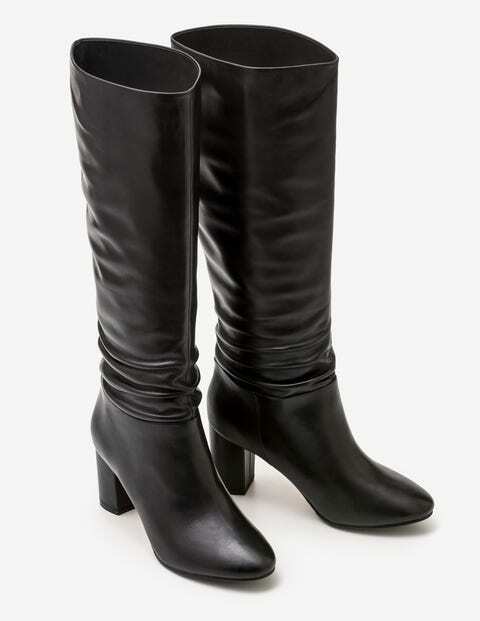 Luxuriously soft leather boots. If that doesn't sound appealing, we don't know what does. Set on a chunky mid-height heel, these are great for days when you're dashing all over town. We added slight ruching at the ankle for a stylish, yet laid-back feel – team with jeans or knee-skimming dresses to complete your off-duty ensemble.